Just in time for the plague of frogs, another PEZuzah. My husband came home bearing a Kermit the Frog PEZ dispenser, and it begged to be converted into a holiday mezuzah case. Pull Kermit’s keppie to reveal a cavity perfectly sized for a real scroll. This little trick makes it far more convenient to inspect the klaf twice every seven years, as per tradition. 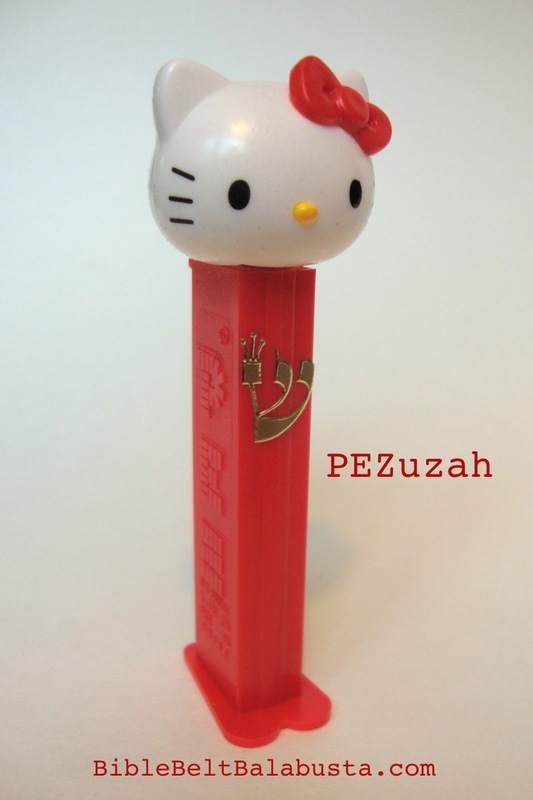 A PEZ mezuzah is not per tradition, but it works. 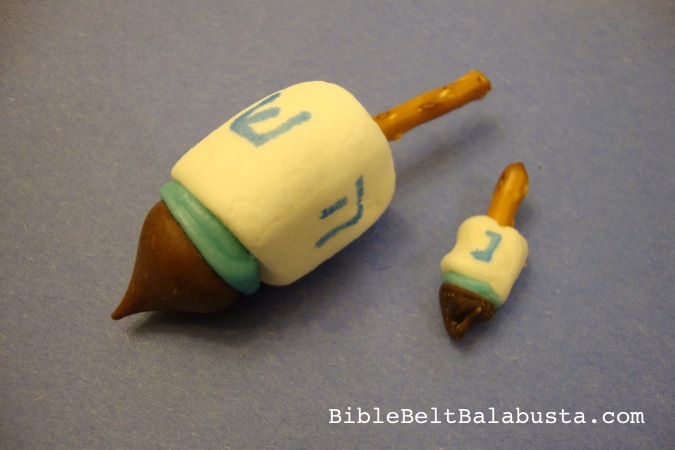 Last week, I co-taught a class of 6th graders for a mezuzah project. 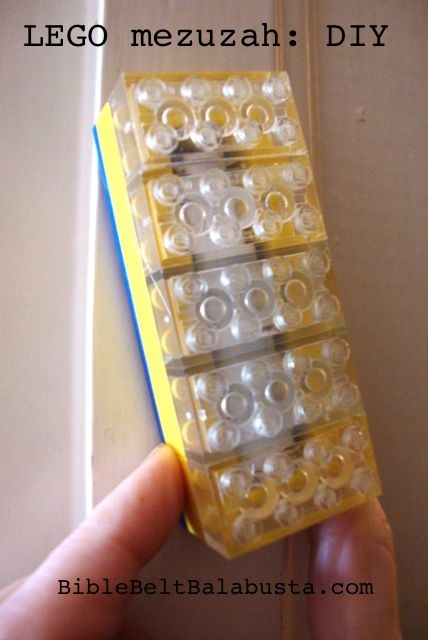 As an intro to spiffy wooden kits, I showed them how easy it can be to make mezuzah cases out of unexpected materials: things found or free… a dried-up marker case, an empty glue stick, a matchbox, LEGO, a PEZ dispenser. The latter was the most popular, even though I had only brought one example, the Buzz Lightyear PEZuzah. 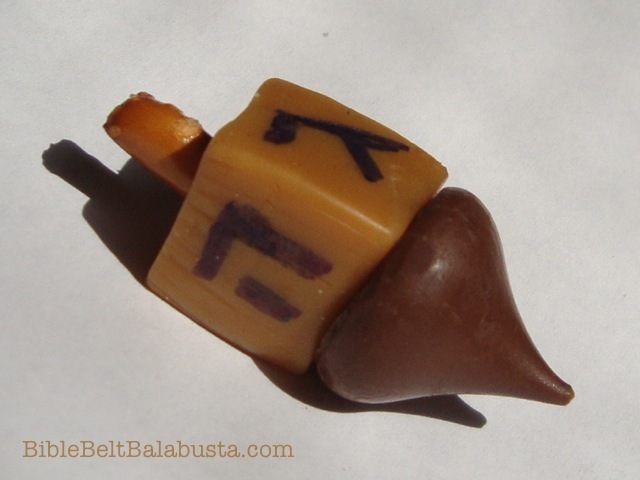 “How do you make a PEZ mezuzah?” breathed one boy, suddenly interested. All anyone needs to make a PEZuzah is the intention, the dispenser, and some sort of letter shin. Details about the PEZuzah are at my post at MyJewishLearning.com, and here on one of my Mezuzah pages. For tips about kids creating a scroll—not a kosher one, but an “educational” one— see my tips here. 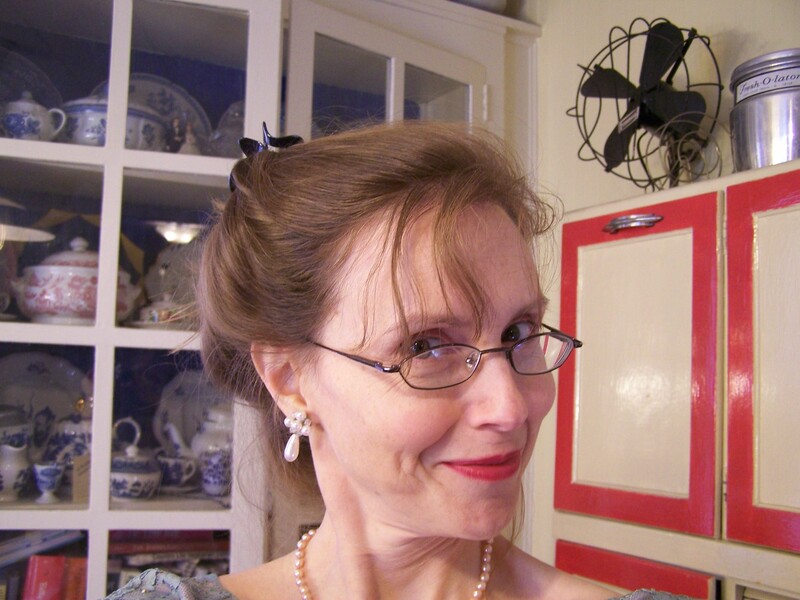 This entry was posted in Activity, Kitsch, Mezuzah, Passover and tagged mezuzah, PEZ, scroll. Bookmark the permalink. 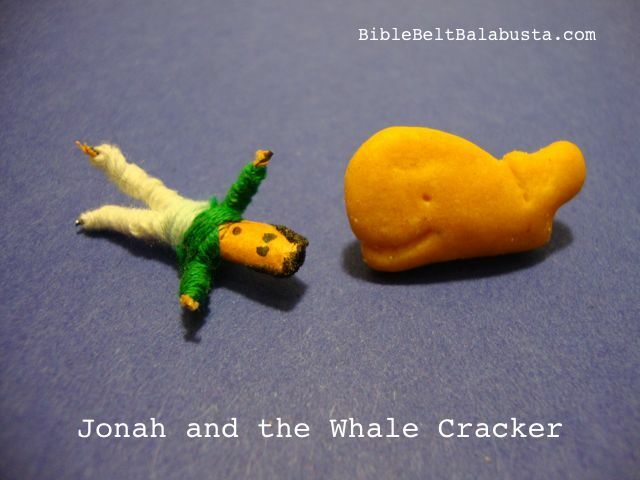 I must admit that this is quite original!